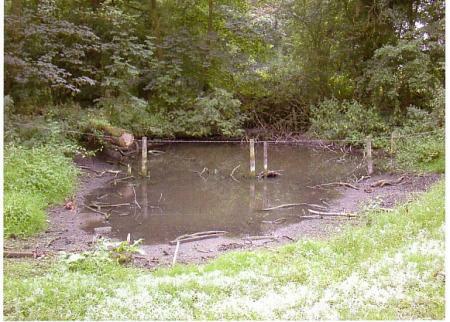 Field ponds were once a very important part of our landscape to provide water for beasts when out in the pasture fields. 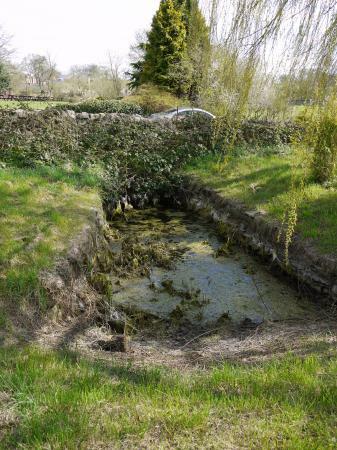 Many of our Rothley ponds have been filled in or neglected now that water troughs provide safer water. 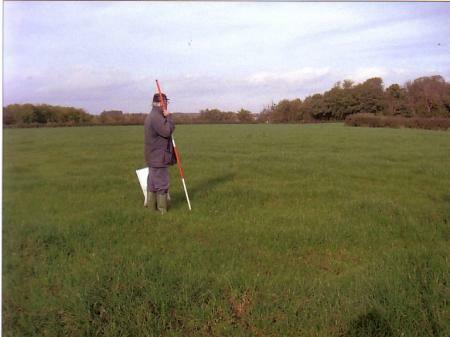 I therefore decided to record not just the ponds that remain but also the lost pond sites. 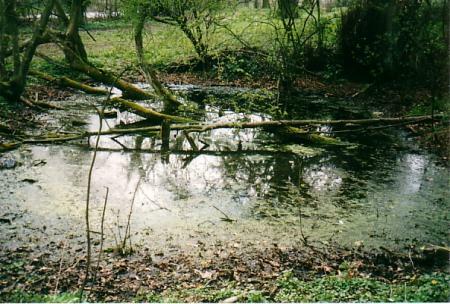 Most of our ponds are in a very poor state, overgrown by bank vegetation and filled with leaf and branch debris. 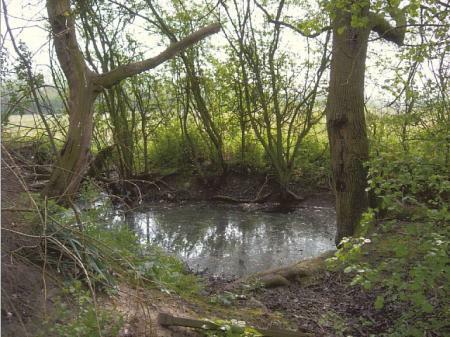 Three ponds in the parish have been managed by the Leicestershire Wildlife Trust to encourage wildlife to return. 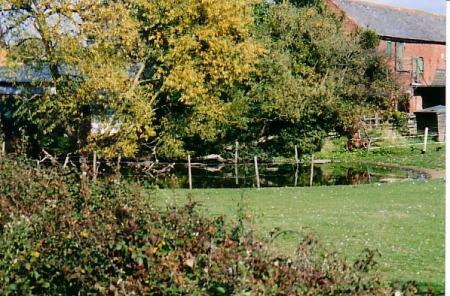 One pond in still in use as a farmyard pond for geese to enjoy and others provide a habitat for moorhens and ducks. 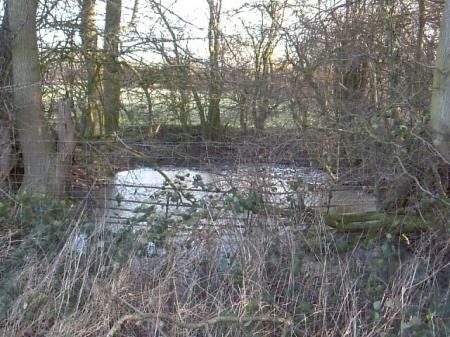 I have located 43 ponds and 8 pond sites to date (February 2011). Some dry up in the summer, some are permanently water-filled especially where the surrounding ditches are in good order. 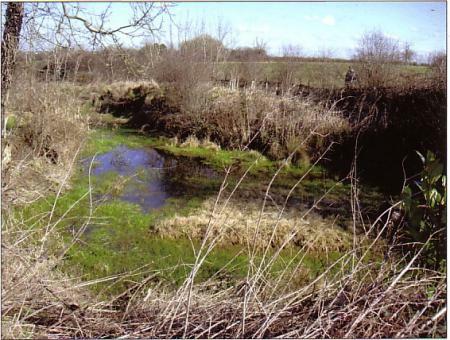 Ponds get filled in when hedgerows are removed as in the case of Church Wardens Pond. 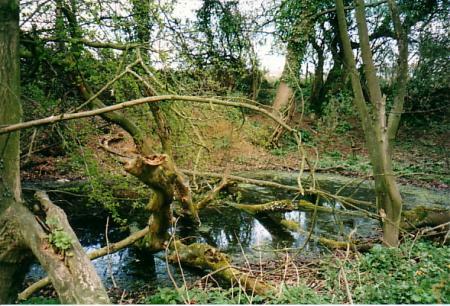 Merlin's Pond has an active Badger Sett on its far bank. April 2003. Merlin's Pond was named after the horse that was stabled in the pasture. April 2003. 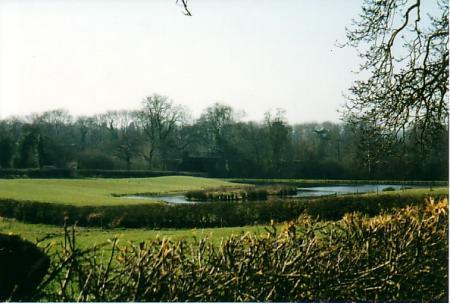 Swithland Pond was developed in 1999 as a wildlife pond. February 2002. 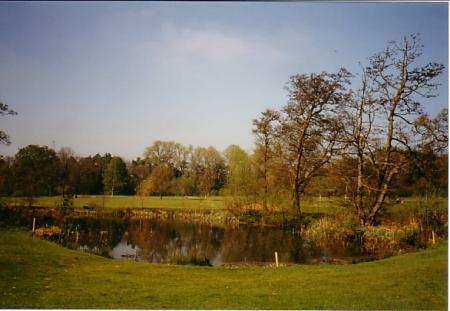 Thw Willows Pond is in the paddock of a private house and attracts Moorhens and wild ducks. May 2003. Soar Meadow Hay Flat Pond is a 'flight' pond so called because it is surrounded by trees apart from one end where the duck fly out into the line of fire. Woodcock Farm Pond is still in use for the geese. September 2003. 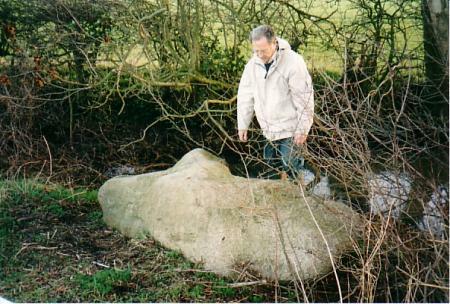 North Stocking Pond with the Rothley Archaeological Warden pondering on the large boulder on its bank. February 2004. Fairway 15 Pond at the Rothley Park Golf Club has been developed to attract wildlife. April 2002. 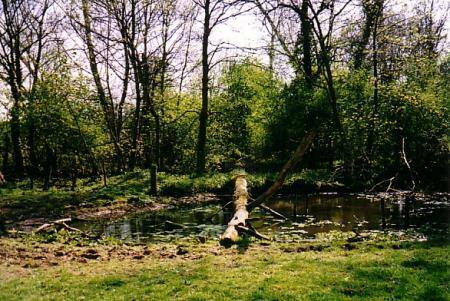 Shalton Hough Pond is typical of a Field Pond that served the beasts in three fields. March 2005. 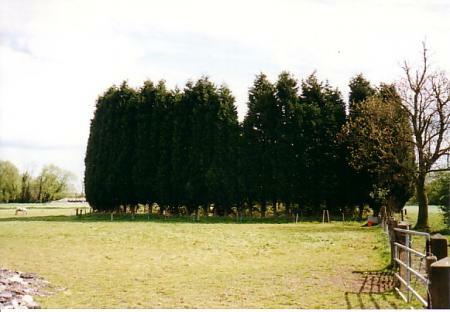 Church Wardens Pond site in January 2006. Lost for all time. 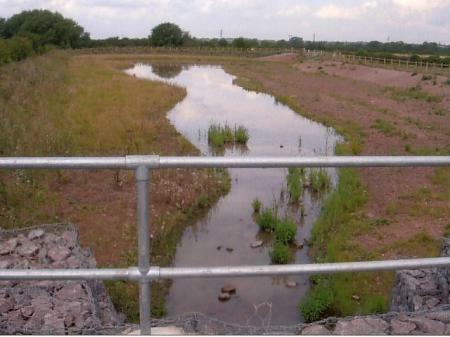 Pennington's Pond was developed in 2005/6 to take the rain water from the Rothley Lodge Industrial Site and this has created a new pond habitat in the parish. 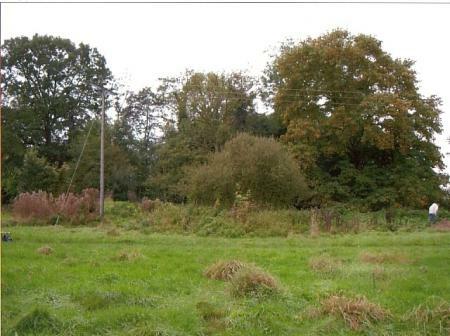 It will be an important part of the new Rothley Lodge Wildlife Site managed by Charnwood Wildlife which extends to the River Soar at Sileby Mill. The pond does not have an 'official' name so I have named it after Ron Pennington who introduced me to it and its history. Great Close Pond must have been a good size according to old maps and could have been the duckpond for Southfield Farm. Pond 36 Lewin Nook Pond in 2006. Lewin Nook Pond was developed as a pond for rearing mallard chicks. I have called it Lewin Nook Pond after the old field name. 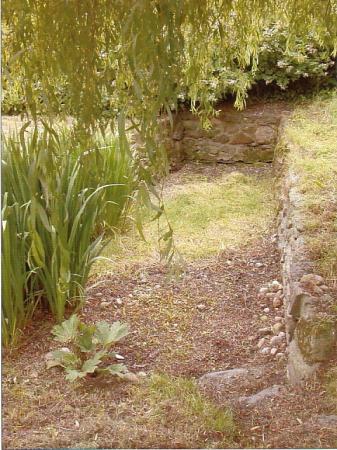 This unusual pond has been included as it is old and once part of a field in the centre of old Rothley. It is good for frog spawn as it contains water at this time of the year. Photograph taken in June 2003. I have called it Ann's Pond after the owner. 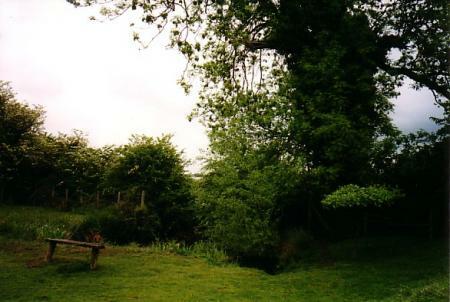 This pond, like so many, dries up for most of the year but after good rainfall it holds a considerable amount of water. 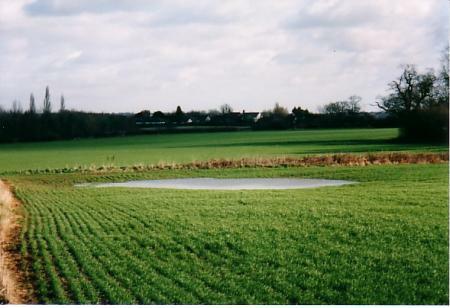 It is a typical circular pond on a field boundary and enclosed by a circle of trees, also typical of many of our parish ponds. I have called it Mineral Line Pond as it is adjacent to the disused Mineral Line from Mountsorrel Quarry to the Swithland Sidings. This is another pond that dries up for most of the year but after a good rainfall it becomes a typical shaped pond. 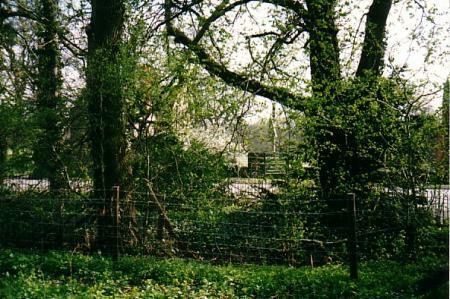 It is enclosed by small trees with one boundary being the hedgerow along Kinchley Lane. There are two good sized Oaks in this part of the hedgerow. 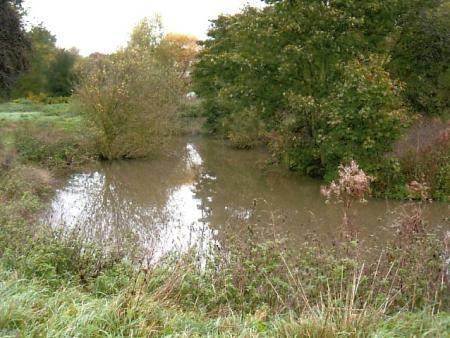 This is a fishing pond in a lovely setting close to the River Soar. 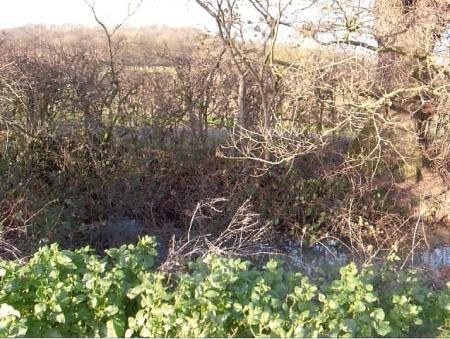 This is a very interesting Ancient Parish Boundary Pond at the bottom of a garden at the far end of Swithland Lane. I have called it Bradgate Wong Pond as it is on the boundary with a field having this old field name. There is an ancient Oak by the side of this pond. 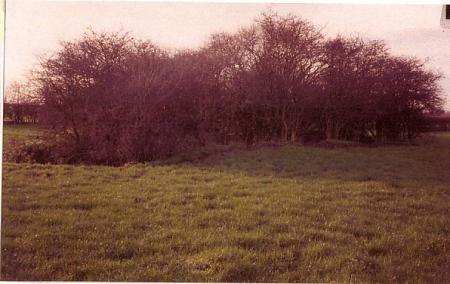 This would most likely have been a duckpond for Westfield Farm. It is shown on the 1880 map but no sign remains in 2007. XHTML 1.0 validated. WCAG compliant. Page generated in 0.1243 seconds.